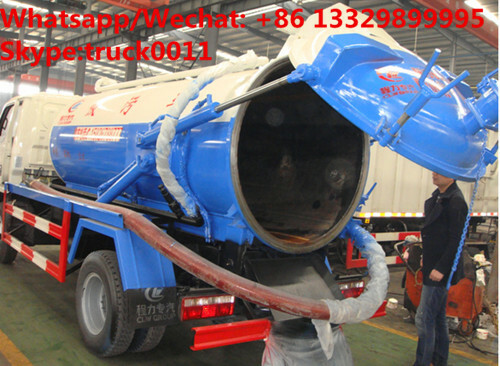 vacuum sewer cleaner truck for sale is called vacuum sewage suction tanker, mainly used in pumping stool,polluted water,floating debris in all kinds of city's municipal sanitation, agricuture,factory,district,etc. It combine the function of self-priming and self-discharging. 1.our sewage suction truck mainly composed of vacuum sewage pump, power take off, transmission shaft, moisture separator, gas-oil separator, multiple directional control valve, tank body, blowoff valve, visible window for sewage, vacuum pressure gauge, pipe network system. Hydraulic circuit, and hand-washing facility. It only costs less than minutes to fill the tank, and its suction height is above 5m. when the tank is filled well, the truck will unload them automatically. 2.the chassis is manufactured by China Dongfeng Automobile Company, China Dongfeng Motor Limited Company, China Dongfeng Automobile Limited Liablity Company. It also can be purchased from other demostic well-known companies, such as FAW, SINOTRUK, FOTON, ISUZU, Hualing, North benz, etc. 3.The sewage suction truck has set up desondary protection device for vacuum pump, so sewage can not permeate into the pump. 5. the sewage suction truck has properties of self- suction, discharge, high working speed, large volume, and long service life. Vacuum pump high quality special vacuum pump, vertical suction lift is about 7-10m. 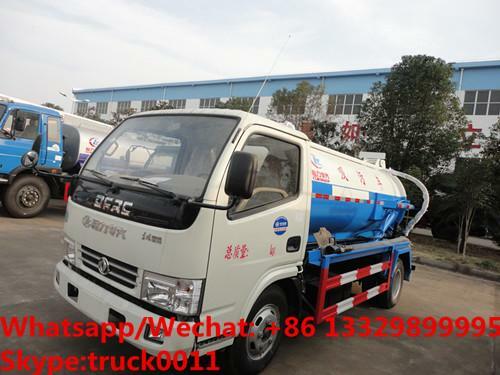 More pictures of Dongfeng 4*2 LHD vacuum tank truck manufactured by Chengli Special Automobile Co., Ltd. manufactured by Chengli Special Automobile Co., Ltd. as below. More information, please feel free to contact with Ms. Anita.